In this corner, CASE, wearing an American flag over a Chinese flag, is Carbon War Room, Solar City, SolarFirst, Sungevity, Suntech America, SunRun, Trina Solar, Verengo, Yingli Americas, Recurrent Energy, et al. In the other corner, CASM, wearing an American flag over a German flag, is SolarWorld. And six unnamed solar companies. And 75 associate organizations, including the United Steelworkers union. Today was the first day of hearings at the U.S. International Trade Commission for the anti-dumping claim made by SolarWorld against China. It was mostly preliminary posturing. A coalition has now formed to rebut the claims of SolarWorld and their coalition. CASE is trying to make the U.S. public aware of the impact of the claim by SolarWorld, according to its spokesman. Speaking for CASE, Kevin S. Lapidus, Senior VP and General Counsel at SunEdison, claimed at today's press that the SolarWorld case would be harmful to the U.S. solar market. In a bit of a surprise at today's hearing, according to Lapidus, SolarWorld attempted to change the market and scope of the case from solar cells to any modules including Chinese cells. This was done at the last minute according to Lapidus. The change, if accepted, would capture module manufacturing by Chinese firms in small U.S. factories such as Suntech's Arizona plant or Canadian Solar's North American factory. Jigar Shah, CEO of Carbon War Room and founder of SunEdison, said in a CASE press release that "Despite the remarkable progress, the U.S. still represents only 5 percent to 10 percent of the global solar marketplace. Placing protectionist barriers against more efficient and affordable solar cells -- whatever their origin -- discourages innovation and investment. Now is the time to move forward, not backward, on our clean energy goals. We must not walk away from one of the greatest opportunities of the 21st century." 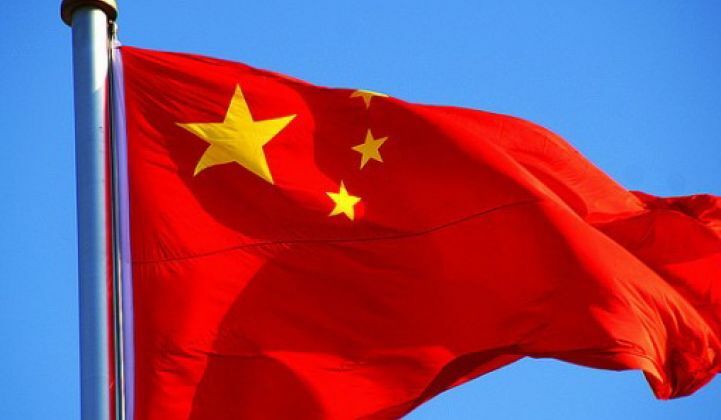 The CASM viewpoint, according to a recent statement from Gordon Brinser, the President of SolarWorld Industries America (headquartered in Hillsboro, Oregon), is that "China is cheating on global trade rules." 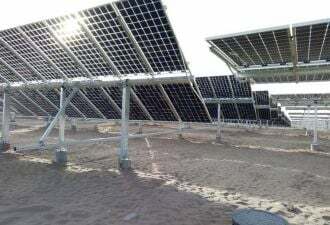 Brinser also said that "China’s state-sponsored solar industry is receiving massive illegal subsidies and is illegally dumping crystalline silicon solar products into the U.S. market." Brinser continues, "China’s illegal actions are undercutting fair market value and threatening to eliminate America’s solar manufacturing. [...] As long as China is allowed to continue cheating, there is no way America can expect to compete in the solar energy race." Lapidus notes that SolarWorld has "excluded a major competing product from their petition." That would be thin film modules. Lapidus notes that thin film sets the benchmark for solar panel prices. Lapidus claims that SolarWorld is working against U.S. public policy goals to grow renewable power. He notes that the solar market is one of the few growth areas of the U.S. economy, and that more than half the solar employment picture is in the installation and downstream portion of the value chain -- not in cell or module manufacturing. Lapidus also notes that the 2.6 gigawatts of solar that could be installed in the U.S. in 2012 hinges on certain module prices and that "an exogenous price shock to modules" in the form of a tariff could render many of the solar projects unviable, negatively impacting U.S. investment and jobs. He reiterated that such a price shock will threaten jobs upstream and downstream. He said, "Price declines have brought us close to grid parity. The imposition of tariffs will be a setback to the U.S. solar industry."